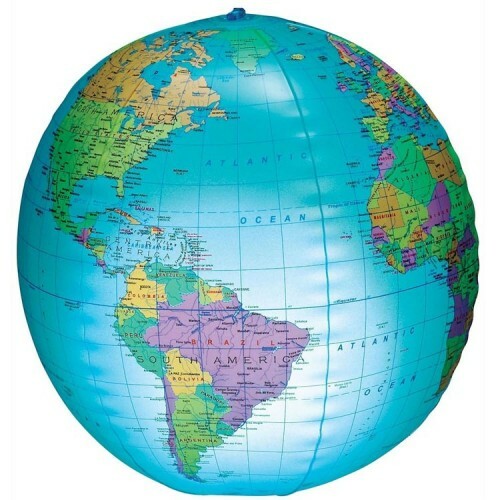 This Learning Resources' light-up inflatable globe ball is great for the fun ball game, cool room dcor, and geography learning game. 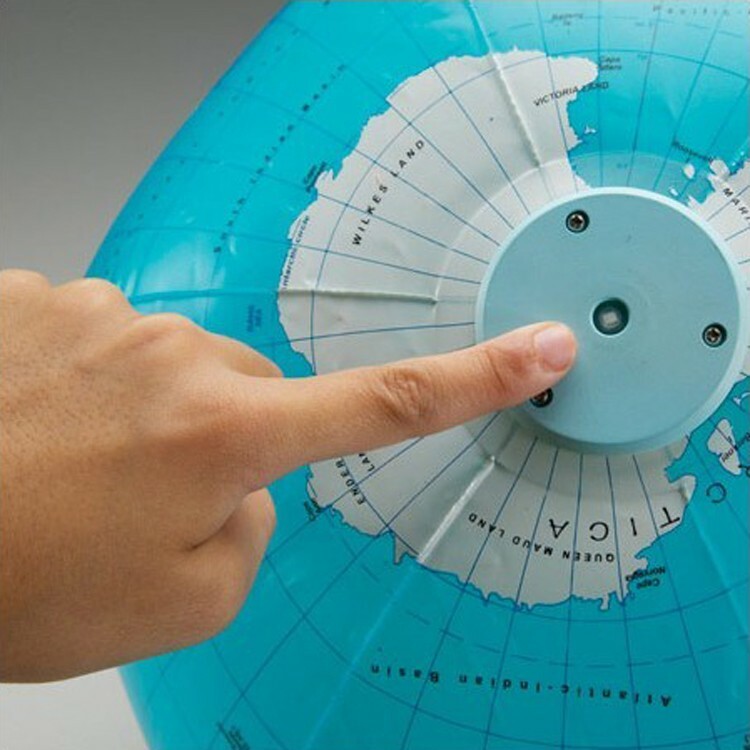 Take a trip around the world with the coolest new twist to a night light! 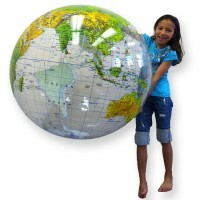 Learning Resources' Inflatable Light-Up Globe Ball features bright illustrations and accurate labeling of all continents, countries, major cities, bodies of water and even lines of latitude and longitude. 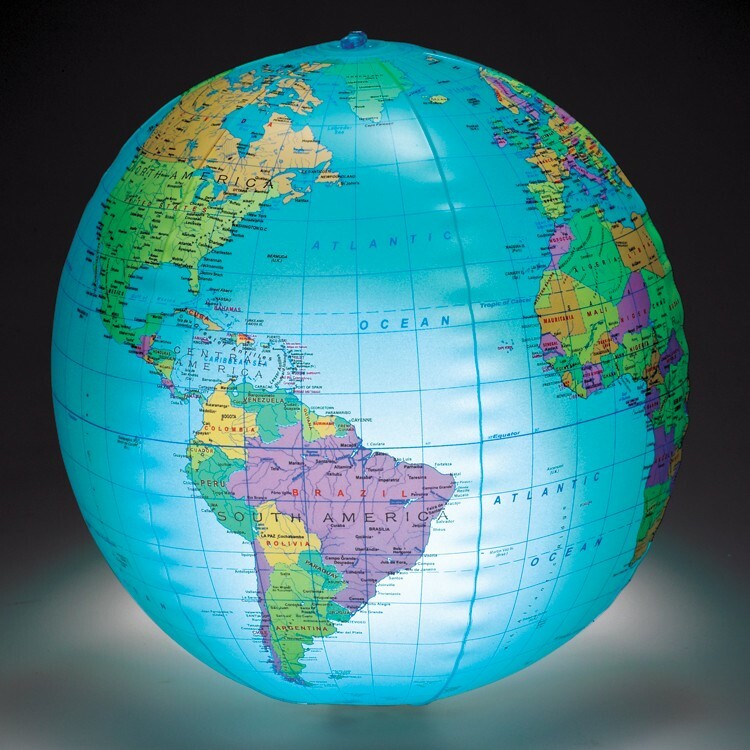 The lantern design makes the 12 inches Inflatable Light-Up Globe Ball a unique way to softly light up any room. 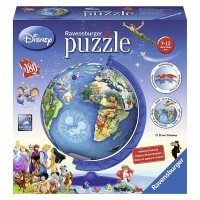 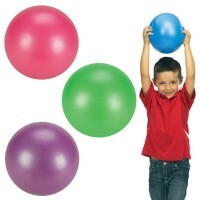 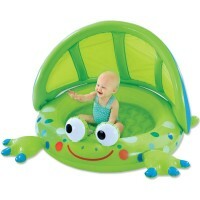 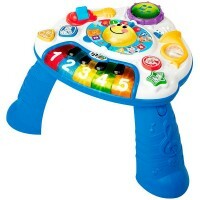 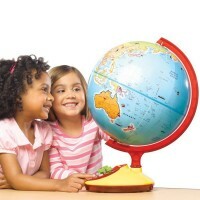 Children of all ages can learn at different levels with this Educational Toys Planet toy. 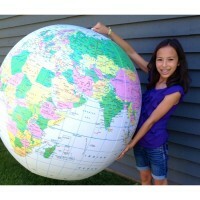 From basic science to political studies, your child will love using this globe to aid any learning experience. 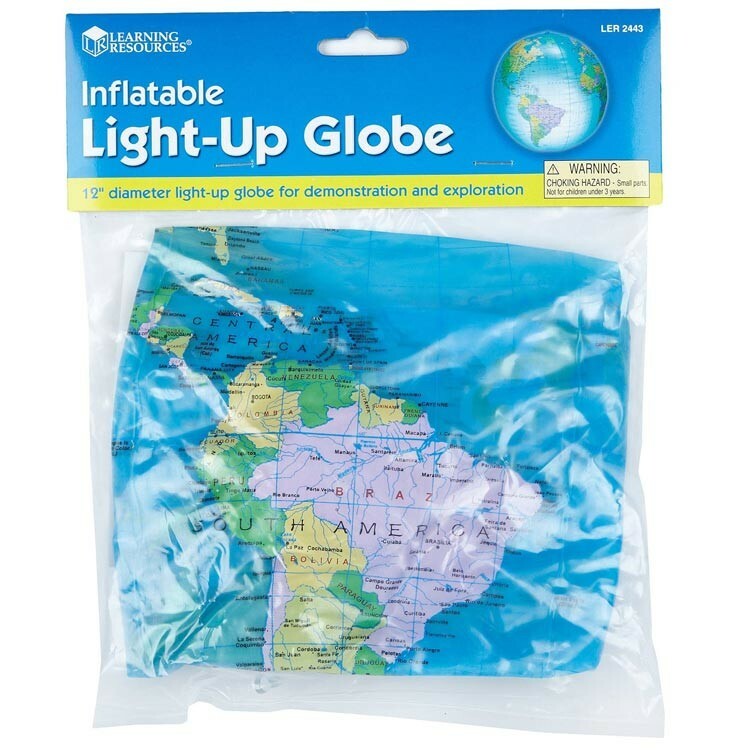 Complete with a 5000-hour LED bulb, hook, string, repair kit and activity guide, all you have to do is inflate, hang and play! 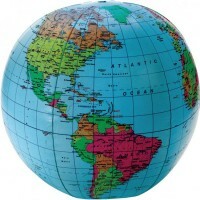 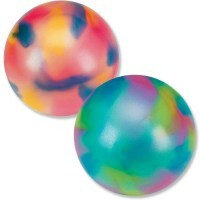 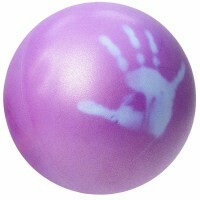 Dimensions of package 0.06" x 0.05" x 0.01"
Write your own review of Inflatable Light-Up Globe Ball.